Bar & Grill in a Prime Location offering an excellent menu and Type 47 Hard Liquor License. Located close to the University and Downtown this restaurant is serving a very popular lunch to the business crowd and nightlife for everyone. Recently redone inside and out this restaurant has approx. 2400 Sq.Ft as well as a comfortable patio that seats about 16 people. Current rent is $2400 + $300 NNN. A full cook�s line, 10 beer tap long draw system, walk-in refrigerator & flat panel televisions. Currently doing $33K a month in sales the owner must sale due to personal reasons. This restaurant also has a P.O.S. system and 12Ft. hood. One of Chico's hot spots this place is immaculate and turn-key. 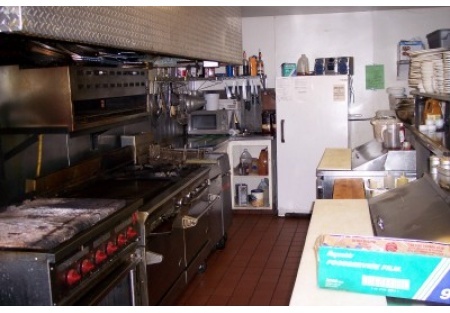 The owner has recently refurbished or replaced most equipment & furnishings. Also there is a private parking lot and plenty of off street parking. This is a great opportunity to grow your existing concept or jump on board this already popular Bar & Grill. Take the next step and complete the online confidentiality agreement and you�ll be provided with the restaurant name and address. Also you will given priority notification to new listings in the future, prior to the general public, giving you the best chance to �scoop in� the best opportunities. There are also more photos available to our registered buyers.